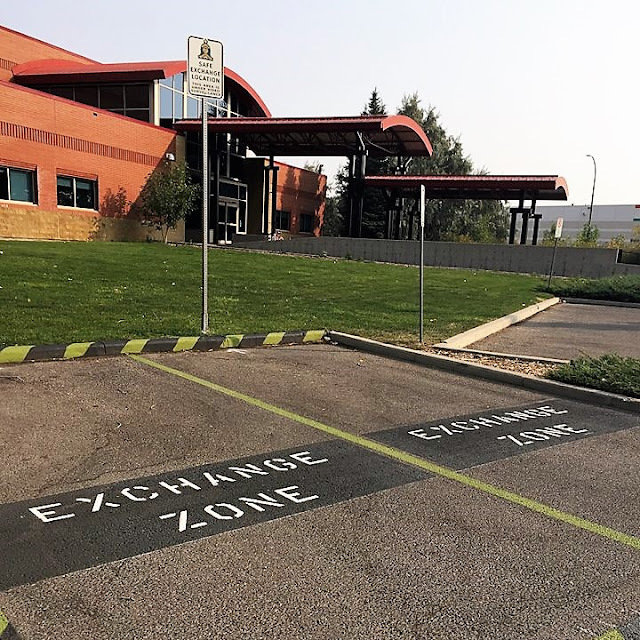 Lethbridge Police Service - The Lethbridge Police Service has implemented a Safe Exchange Zone to provide extra security for online buyers and sellers meeting in person to exchange goods. In addition, the safe zone can also be used in custody situations where parents require a neutral location to exchange children. Two parking spaces in the front lot of the police station, 135 1 Avenue South, have been designated as a safe zone and police are encouraging members of the public to use them.